Tablets and Smartphones and Laptops – Oh, My! There are so many devices to choose from for your classrooms. Sometimes it is really hard to know what makes one a better choice than others. And by “better,” I mean a better fit for your educators’ and students’ needs, because that’s really what will determine what is the right device for you. Over the next few weeks, we’ll be featuring the top reasons why you might want to choose one type of device over another. 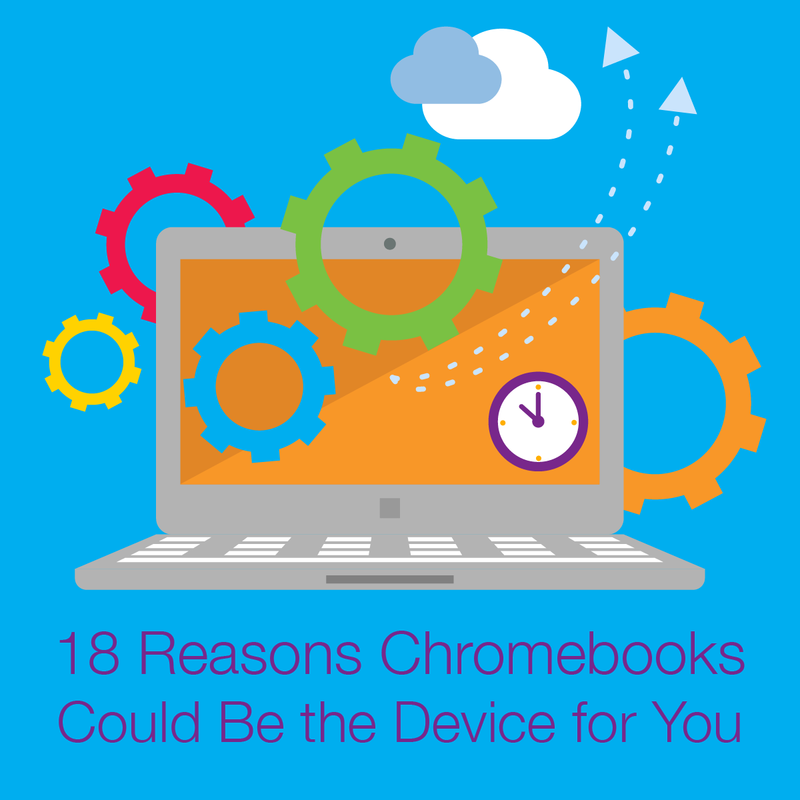 In this post we’ll focus on Chromebooks. 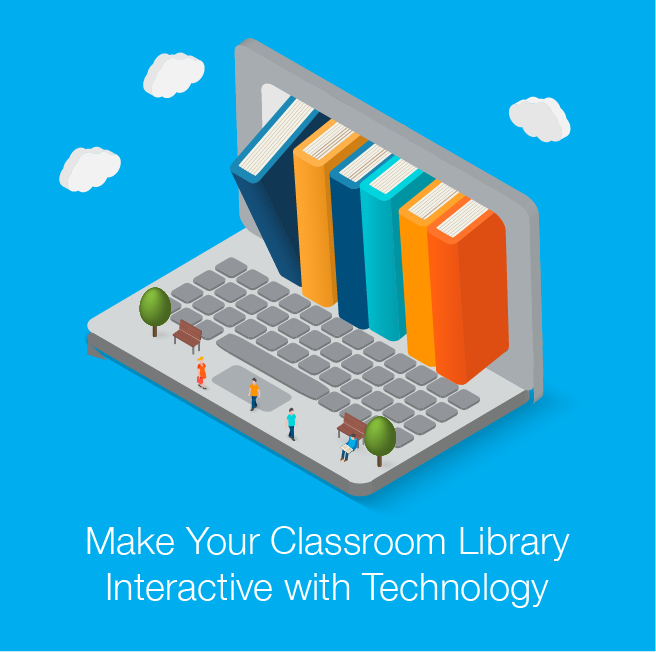 From exploring a virtual library to creating a rock video, see what your iPads can do! 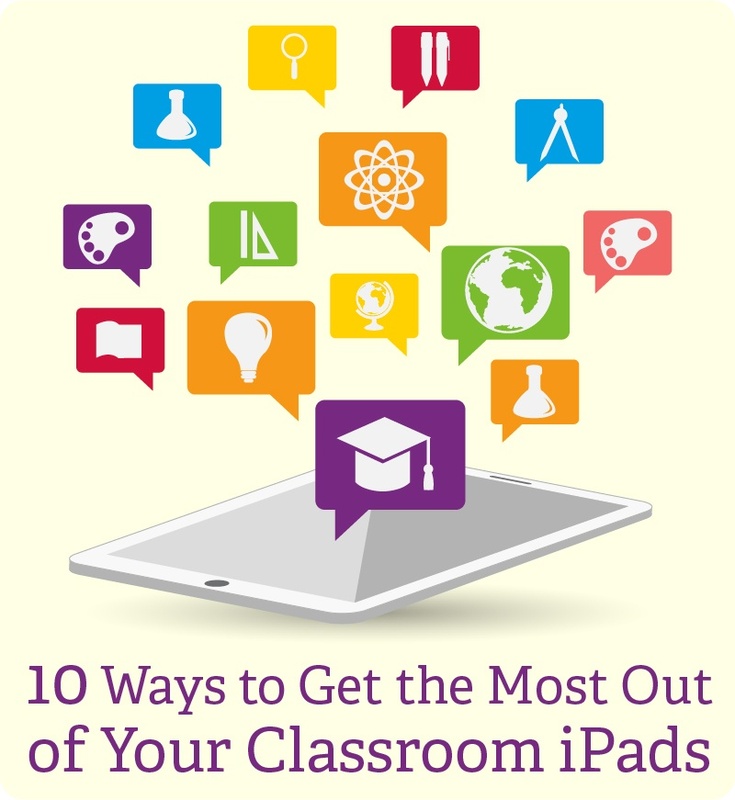 Using iPads in daily activities can be easier than you think. One of the biggest trends in educational technology this year is the use of personal devices to create an engaging 1:1 classroom setting. But while 1:1 initiatives are gaining in popularity, many fail to meet the teacher’s expectations over time. It’s generally not the technology that’s at fault. Most often the challenge stems from not knowing how to best to use these devices in the classroom. The use of personal devices can be easier than you think, and the devices offer a wide range of educational uses. 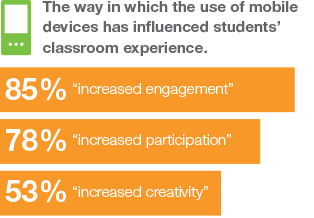 Mobile devices have a deep and positive impact on student learning, but are still in the early adoption stage. Mobile devices are well on their way to becoming an integral part of K-12 instruction, and they are having a noticeably positive impact on students’ learning experiences. These are the major findings from a recent survey conducted by MDR’s EdNET Insight service on behalf of Mimio. This was the third annual survey authorized by Mimio to gain a deeper understanding of educators’ and students’ experience and needs within the interactive classroom. While mobile devices are best known for their use in 1:1 or BYOD programs, the school administrators, technology directors, and coordinators who were the survey’s targeted respondents revealed that mobile learning is not at all restricted to such environments. Some 75 percent of respondents indicated that their districts or schools were purchasing the devices for use by select grade levels or in specific content areas, rather than the more universal approaches of 1:1 implementation and BYOD programs. 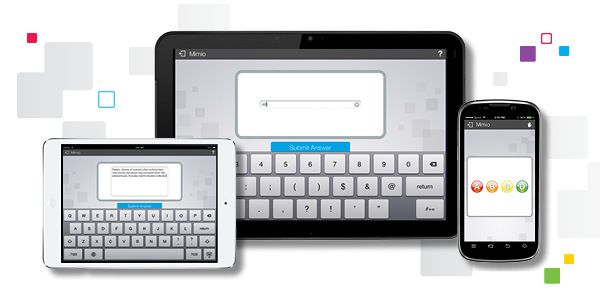 Mobile devices allow for much more accessible, real-time formative assessment in schools. Teachers are finding that they can immediately assess how well their students are learning, and then adjust their teaching based on this feedback. With so many mobile devices already present in most classrooms, using them for assessment can also save on the cost of purchasing other types of assessment systems. While mobile devices are ideal for quickly checking student levels of understanding, there are other benefits to be gained from using them for assessment. We list the most popular ways to use them for assessment here. As mobile devices increasingly become a part of our everyday lives, they are slowly but surely becoming a key part of our classrooms. While some schools continue to ban cell phones, others are embracing them – as well as other kinds of mobile devices. This infographic provides up-to-date statistics on the use of mobile devices in education, and the numbers may surprise you. 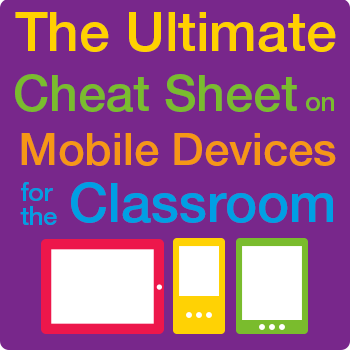 Check out how students, teachers, and even parents are going mobile.